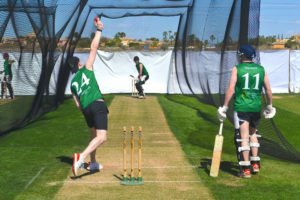 Between Sunday 11th – Friday 16th March, Myerscough College will be following in the auspicious footsteps of Lancashire CCC & Leicestershire CCC by stepping up their preparations for their 2018 cricket campaign by attending a five (5) day pre-season training camp at the Desert Springs Cricket Ground & Academy. Myerscough College, located in Bilsborrow Preston, specialises in education and training for the land-based and sports industries. With more than 20 exciting subjects, from Agriculture and Animal studies to Golf, Game keeping and Motorsports, the college provides the opportunity to gain the hands-on practical experience and the academic knowledge to help students secure their dream career. 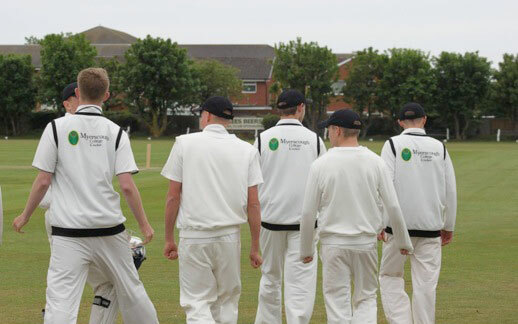 By studying cricket at Myerscough College, students ensure themselves of an excellent opportunity to secure a dream job in the sport. 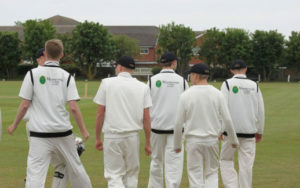 Dedicated teaching staff provide cricketers of all abilities, including beginners, with an excellent cricketing education and the chance to fulfil their playing ambitions or move into the cricket/sports industry. In partnership with Lancashire County Cricket Club, courses are available at the Preston, or Emirates Old Trafford centres. The team training camp will comprise Fifteen (15) players aged 17 – 21 years, all of whom will be spending their time completing numerous training sessions each day, accompanied by Two (2) coaching staff. Grass net practice, both bowling and batting will take place at the Cricket Academy, strength and conditioning work, running, speed and agility work will be completed at the Academy Ground and Gym at the Sierras Sports Club. The squad will also benefit from the opportunity to complete practice sessions on grass at the Academy Ground that will include; throw downs, slip catch training and fielding exercises.